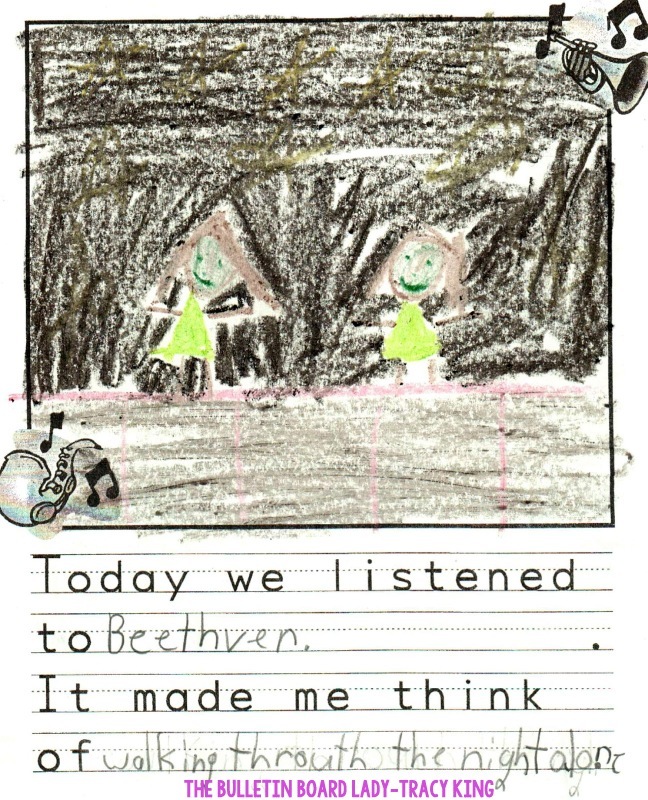 I am a a big fan of writing in my music classes. You'll probably notice as you browse through this blog that I use many different strategies for incorporating writing. I use exit tickets, oral writing, group paragraphs, writing prompts and more. Most of these tools are for writing about music, not actually writing notation. 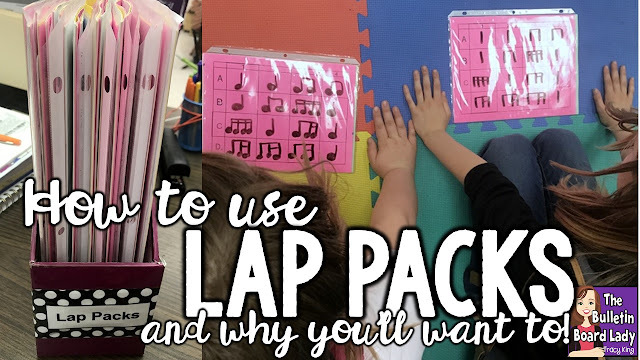 Lap packs are my go-to tool for writing notation in my classroom. Lap Packs are my name for page protectors stuffed full of templates. I have 3 or 4 sheets per page protector and most of them have a template on front and back. 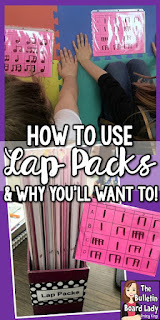 I use a piece of cardstock or two when I am making the copies so the lap packs are pretty sturdy and can just be used on a lap. No clipboard or desk needed! When I first started using lap packs, I paid extra for page protectors that were described as "high quality" and "extra thick". Yeah....turns out that the cheap ones work just as well! Some years I switch out 2 or 3 page protectors and other years I switch out 30 or 40. It really depends on my students, how often I leave lap pack activities for my sub to use and how diligent we are when erasing them. I use regular dry erase markers and we erase with a piece of a paper towel. I get a pack of paper towels from the custodians and then cut them in thirds. We don't erase very much so the small piece of paper towel is more than enough. Someday I'd like to buy something else to use as an eraser, but until then this free option works well. I store my lap packs in a magazine box. I encourage students to put them back in the box with the open side on top. When others pull out a lap pack with the open side on top they don't lose all of the pages on their way to their seat. Most of the sheets in my lap packs have two sides. This just makes it easier for me when copying and it also makes it easier to have students change the sheets that are on top. On one sheet I have a large staff (no clef). We use this with bottle caps for learning pitch names and melodic dictation. I also use this side to introduce line notes and space notes with younger grades and for composing simple ostinatos. The back side of this sheet contains 2 smaller staves. The green sheet contains a set of body percussion staves. I like to use different colored pages because it helps students find the sheet they need and switch them quickly. The back of this page (pictured below) contains a graphic organizer. This graphic organizer is great for instruments of the orchestra, SATB, identifying characteristics of a musical and more. Another page (copied on pink paper) contains 4 beat boxes. Okay, you can call them whatever you want, but I call them beat boxes because each box represents one beat. In the picture below you'll see that beneath the beat boxes there are two lines. I use this sheet for composition projects using sol/mi or sol/mi/la. Students draw a quarter note or barred eighth notes in one of the beat boxes and then draw note heads on the lines to indicate sol or mi. Students are immediately successful and there are many activities you can do with their compositions. On the flip side of the pink page is Martha Stanley's Mighty Music Grid. I use this grid for SO many things. My favorite activity for this grid is rhythmic dictation. For Kindergarten classes we practice writing quarter notes and quarter rests and clapping our patterns with a friend. In 1st grade we create sound songs by drawing symbols for various sounds and body percussion in each block. In other classes we take rhythmic dictation just like you did in college. I clap a rhythm, they echo and write it down. Students love the challenge of matching my pattern and become quite skilled at deciphering rhythm patterns. I also include a blank sheet in each lap pack. This page has been used with my youngest students to illustrate what they have heard. With older students we have created vocal exploration patterns, choreography, graphic organizers and flow charts and listening maps. The picture below was an example from a 5th grader. Okay...this wasn't just an average student. This student went above and beyond and created a pretty amazing listening map for the overture from William Tell. I'm not exactly sure what the question marks were for, but they worked well with the song. If you are looking for a way to incorporate any of these activities but hate getting bogged down with shuffling papers and stacks of pages to grade, I would definitely recommend using lap packs and dry erase markers. Instead of grading papers, I walk around the classroom and make notes on my attendance sheet and record points later. This makes assessment easy for me and stress free for students. So have I convinced you of the awesomeness of lap packs? Try them out! I put together a few of my favorite pages for you to try in your classroom. Follow THIS LINK to download them. Let me know how lap packs are working for you in the comments! "You want me to teach music QUIETLY?" I said in disbelief. "Is that even possible?" It was testing season and I was fortunate to have my schedule only moderately rearranged. The problem? I had to teach music as quietly as possible. I laugh thinking about how dumbfounded I was at the very idea. 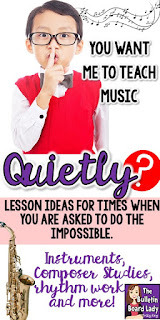 Now with quite a few testing seasons under my belt I have a few suggestions for how to teach musical lesson in quiet ways. Read on, but shhhh! Let's keep it down. One of my favorite quiet activities for teaching pitch is to use my bottle cap staff sheets. I have them laminated and use them for a variety of lesson. For this lesson I pass out the sheets and a hand full of bottle caps. I will say a word that can be spelled on the staff and students "write" it by putting their bottle caps in order. In the picture, we just spelled "cafe". There are many ways to work on rhythm quietly. Consider using chopsticks instead of rhythm sticks to play on the back of chairs or even on the floor. The sound is light and intriguing for even 6th graders. Rhythmic dictation is a pretty quiet activity too. I use dry erase boards or lap packs (staff paper or blank paper stuffed into a page protector) and dry erase markers. 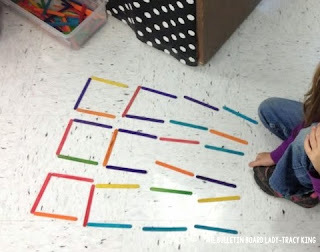 You might consider using craft sticks, rhythm cards, mini erasers (matching the syllables in the name of the eraser to the number of sounds in the rhythm) and more. Clap or tap the rhythms on an instrument, students echo and then write it down. It is a great assessment and requires great listening skills. Instead of writing the rhythms down, you might consider having students listen to the rhythm that you play and then circling the correct notation from a few examples. I have an entire set of "What Do You Hear" worksheets that ask students to do just that. They vary in complexity so you can use the set with multiple grade levels. Click HERE to learn more. If you are able to show videos, I highly recommend the Composer Series of movies about the lives of famous composers. (not an affiliate link) You probably already have these in your classroom. In addition to showing composer videos, you might consider planning time for your students to just listen to, read about and color pictures of popular composers. I've talked about this kind of thing in a previous blog post: Coloring Composers. You can get the set that I use HERE. I also LOVE Jena Hudson's composer flip books. You can find them in her store, Sew Much Music on TpT, or follow this link to try the American Composers Set for free! Another quiet, creative activity is listening and responding. Choose a piece of music that inspires a story or vivid mental images. Have students listen the first time. For wiggly classes you may want to have them lightly tap the beat or follow you as you tap the beat in various ways. Next, have students lie down (if possible), close their eyes and imagine what kind of story the composer wanted them to "see" in the music. Pass out blank pieces of paper and have them illustrate what they have heard. For K-2, I often use THIS set of writing prompts that already have a few words written and blank writing lines. If you are able to show videos, I highly recommend the Instrumental Classmates set of videos to introduce the instrument families. I found my set on Amazon. 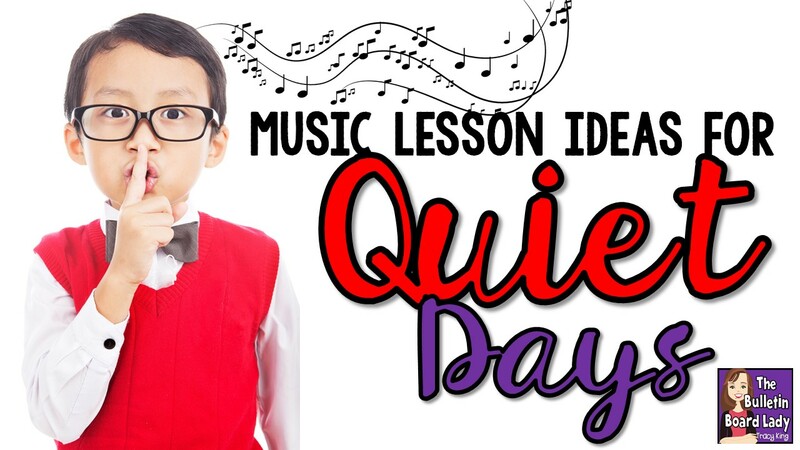 Quaver also has a great series of videos about instruments that your students will enjoy. If you are unable to show a video, your students might enjoy putting together a book of instruments. 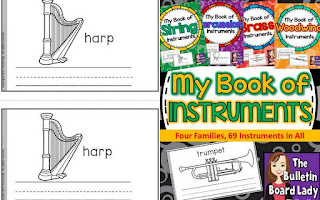 Students can color the instruments, copy their name or add information about the instrument (with the add-on sheets included). Click the picture above to get the full set of instrument families or click HERE to get the sampler for free. 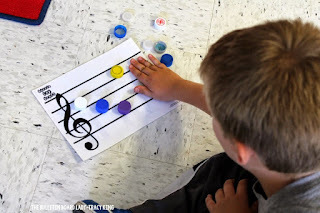 Although this takes some time to make all of the copies you'll need, it is a great activity for a quiet day in music. Another great quiet day activity is to read the book "The Remarkable Farkle McBride". My 5th graders enjoy this story, so I can use this lesson with all of my classes. At the end of the story, we will review instrument families and I'll pass out these simple coloring sheets. 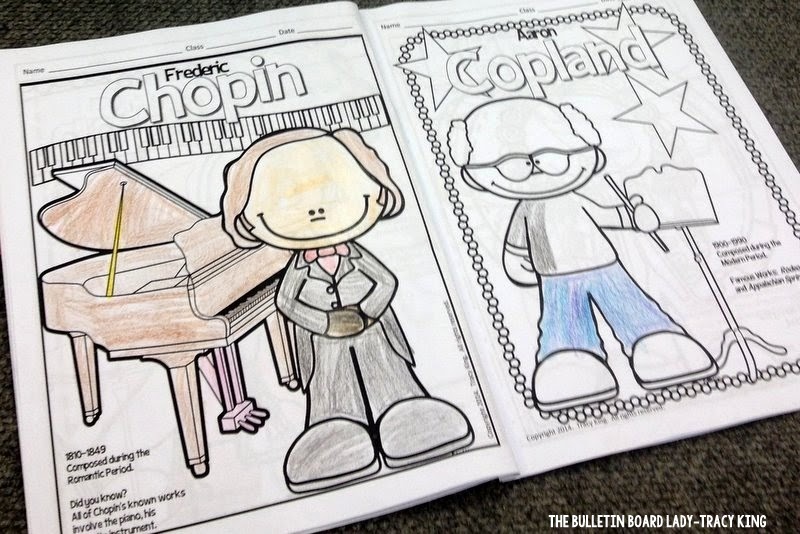 While students are coloring we will listen to my classical music playlist for some quiet background music. Quiet games are not usually favorites in my classroom, but over the years I've come up with a few that students will give a reluctant thumbs up. They would much rather be drumming and dancing and singing, but quiet days don't always allow for that. Telephone - This traditional game is played by having students sit in a circle and whispering a message to each other until it makes it all the way around the circle. Hilarity ensues when the message at the end sounds nothing like the message that started. The same idea can work with rhythms. Have students tap a 4 beat measure on the back of the person next to them and then pass that around the group. Students can usually master this in a couple of tries so then we make it a bit more difficult. Instead of sending one rhythm around in one direction, start two rhythms. One goes to the left and the other to the right and they all end up back at the same person. Tricky! 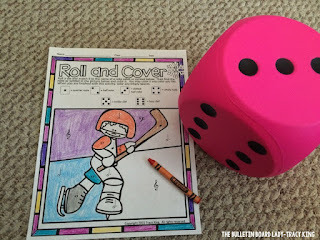 Roll and Cover is a game for small groups. Students take turns rolling the dice. The key on each page says a note or rest name. Students then find that symbol in the picture and color one piece of the picture. 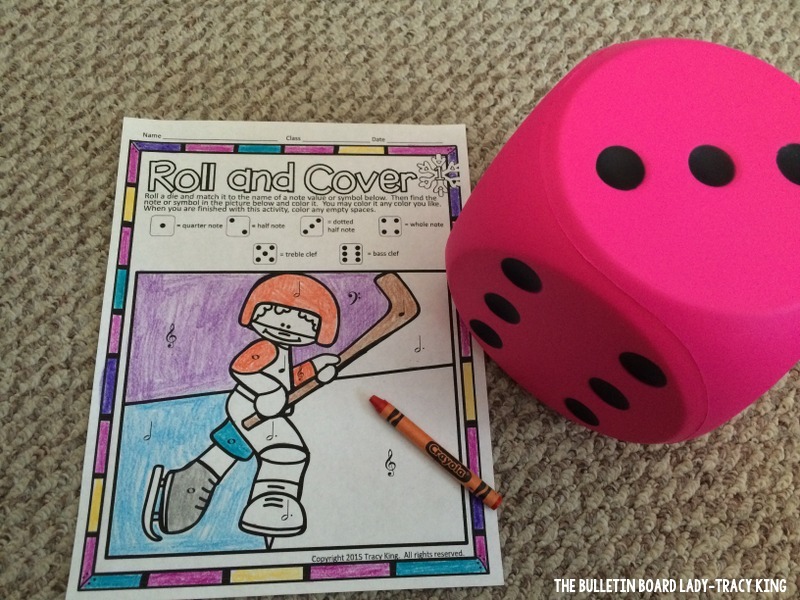 Taking turns, play goes around the circle until someone has every piece colored. It is a nice way to review notes and clefs. You can find Roll and Cover sets in my store. Any normal die will work, but I always try to get the large foam dice to use because they are so much more fun! I hope that you are never asked to teach music quietly, but if you are I hope that some of these ideas will prove helpful. Like these ideas? PIN THEM for later. Preschool music class can be such a delight, full of giggles and pure joy. Of course this is a perfect age for simple folk songs, dance parties, and sing-alongs, but listening to classical music is extremely important too. 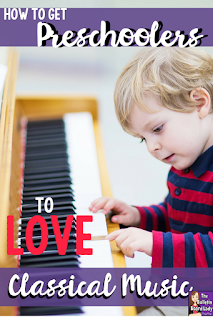 Incorporating classical music into your preschool curriculum in age appropriate ways will begin a lifelong love of beautiful and complex music. 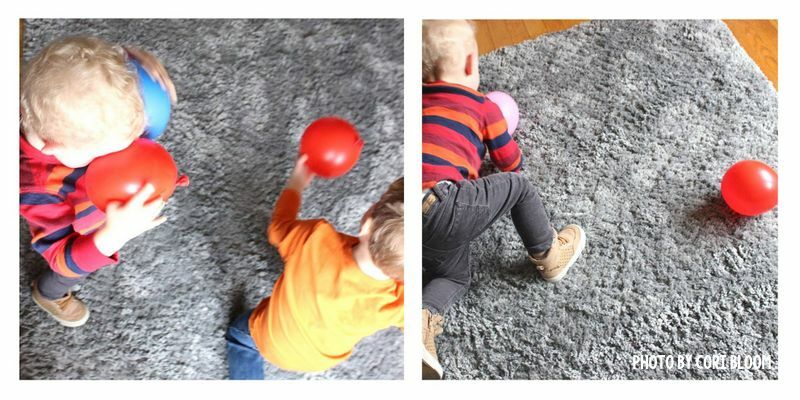 Everything is still new to preschoolers, they are hearing, seeing and experiencing things for the first time. They haven’t established an opinion about what music is good and what music is stuffy & boring. 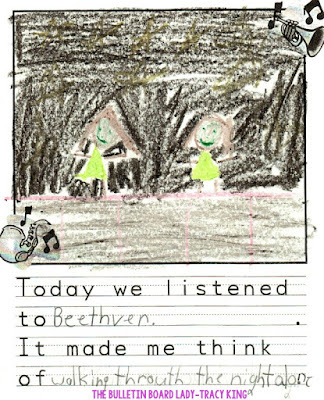 By pairing classical music with playtime, we can provide preschoolers with a positive and enriching classical music experience. This is the beginning of learning to listen and respond to music they will enjoy for a lifetime. 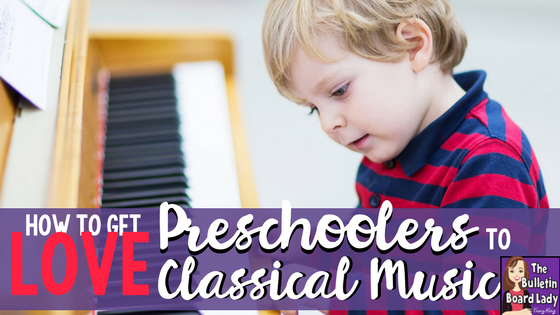 Here are some of my favorite pieces of classical music for preschoolers and how to incorporate them into playtime. -Listen to The Elephant from Carnival of the Animals while you move around the room like a slow, heavy elephant. -Pretend to take an adventure through a castle as you listen to In theHall of the Mountain King, by Evard Grieg. Model sneaky actions like tip-toeing and crawling at first, then change to more energized movement when the music speeds up. -Imitate the fluid, stretching movements of a cat as you listen to Duetto BuffoDi Due Gatti. 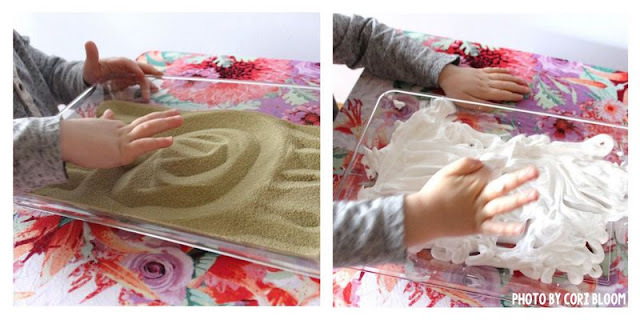 -Squirt shaving cream into a tray or directly onto the counter top. With one finger, have them follow the sounds they hear as they listen to Bach’sCello Suite No.1 Prelude. -Fill a large plastic bin with water, cups, and scoops of different sizes. Listen to The Moldau by Bedrich Smetana while students scoop and pour water. -Let your students draw with one finger in a sand box or a tray of sand while they listen to Air on a G Stringby Bach. -Ask your students to lay on the ground while you walk around the room slowly dropping feathers around them. Listen to The Swan from Carnival of the Animals. -Blow bubbles while you listen to TheAquarium from Carnival of the Animals. Let your students follow the bubbles and try to catch them. -Listen to Clair De Lune by ClaudeDebussy while you float a few balloons around the room. Let students gently bat them around, trying to keep them from touching the ground. Cori Bloom is the author of some amazing music teacher resources! You can find her resources at her Teachers Pay Teachers store, Rhythm and Bloom You can also connect with her on FACEBOOK. Did you like these ideas? PIN THEM for later.